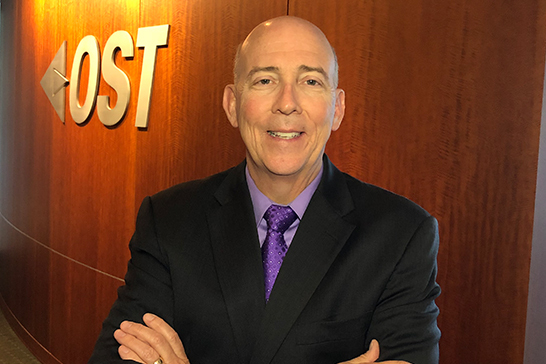 Shof is a highly seasoned defense acquisition expert and responsible for providing strategic guidance to OST’s senior management team focusing on corporate growth. He has more than 35 years of experience successfully managing complex systems, people, and budgets, solving technical problems and overseeing operations and procurement. His experience in Air Force acquisition spans multiple weapon systems to include aircraft, space, missiles and complex software dependent command and control systems. He is an extremely energetic, result-driven innovator and has directed the execution of weapon system programs with $1 billion in annual budgets while managing a workforce of more than 2,000 people. Prior to joining OST, Shof was one of 13 chief procurement officers for more than thirty major defense programs, over 400 applications, and seven multiple-award information technology products and services contracts with a ceiling value of $34 billion. He served around the world for the Air Force across a 28 year career as an officer to include commanding a wing, deploying to Iraq and Afghanistan, and advising the Secretary of the Air Force on technology and acquisition topics. Shof is a member and officer in many associations to include The Armed Forces Communications and Electronics Association, Air Force Association, and National Defense Industrial Association. He is a recipient of the Bronze Star, a Legion of Merit, and the Lance P. Sijan award for exceptional leadership skills. He has also been recognized as a Small Business Professional of the Year and a Top 100 IT Executive by Wired Magazine. Shof has Bachelor’s degree in chemistry from the University of South Carolina and a Master of Systems Management from the Air Force Institute of Technology, Wright-Patterson AFB in Ohio. He also obtained his Masters of National Resource Strategy from the Industrial College of the Armed Forces in Washington, DC. He lives in Dayton, Ohio, with his wife Nancy. They enjoy traveling and he loves playing golf and Ultimate Frisbee.